Supra, RX-7, NSX: Remember When Japan Built Incredible Sports Cars? Another reason to miss the 90s, along with arcade games. Last week’s Tokyo Motor Show might have indicated Japanese automakers may soon regain some of the glory that’s been lost for years, specifically in design and tech. 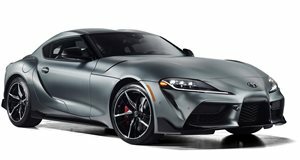 You see, back in the 1990s, brands like Toyota, Mazda, Acura and Mitsubishi built some pretty amazing sports cars, the Supra, RX-7, NSX, and 3000GT, respectively. A new Supra is about to happen. Mazda keeps hinting at a revived RX rotary sports car. 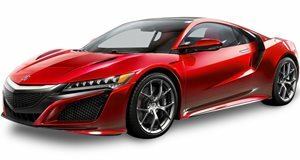 The second-gen Acura NSX is impressive, but doesn’t come anywhere close to matching the specialness of its predecessor. As for Mitsubishi? Well, it’s supposedly still in business. Anyway, the 90s were the . They were technically advanced, looked great, and forced their American rivals to start building interiors with quality a notch above cardboard. Stating the obvious, we miss these cars. And hopefully a proper revival of sorts is just around the corner. In the meantime, YouTuber “Zygrene” has managed to collect three of these JDM legends, the Toyota Supra, Mazda RX-7, and Acura NSX, for a three-way comparison test. Yes, we know they’ve each been modified to varying degrees, but their souls are still very much intact. Given their ages, it’s great to see how there are still heavily investing in them, ensuring they’ll be on the road for years to come.